About 14 years ago, Pensacola State College Academic Advisor Mary Esslinger worked with a young, dual-enrollment Pine Forest High School student who came from a single-parent household with many siblings. He had no idea what he wanted to do after graduating. 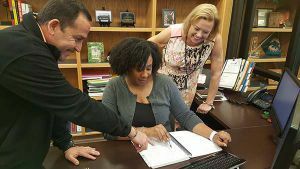 Stories like these, Esslinger said, motivate Pensacola State’s Center for Advising and Career Services staff to help students realize their potential and find a career best suited for them. “Our goal is to help them move onward and forward, and get finished,” Esslinger explained. 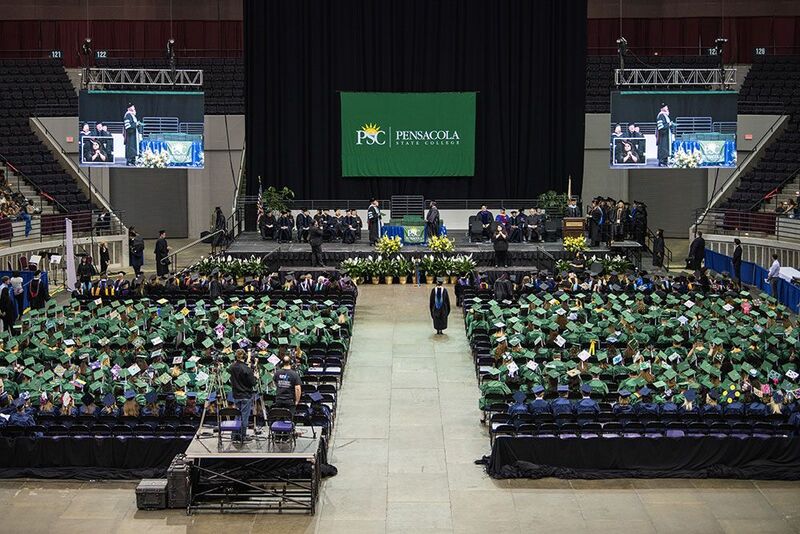 Dr. Monique Collins, director of the Center for Advising and Career Services, said the Pensacola campus center – which sees the largest volume of students throughout the district – sometimes advises upwards of 400 to 500 students daily. “We meet with students for the purpose of career planning, for those students who are not sure what their immediate career goals are,” Collins said. While the Center for Advising and Career Services does register students for classes, its main focus is placed on career planning, program planning, dual-enrollment advising, and new student orientation. Another vital office within the Center for Advising and Career Services is the First-Time Student Success Center, where first-generation students are advised and mentored prior to and throughout their time at Pensacola State. “The Student Success Team is geared toward first-time-in-college, fresh-out-of-high-school students,” said Rafael Deliz, First-Time Student Success Center coordinator. Deliz said staff on the Student Success Team provide a holistic approach to advising to suit the needs of all new college students. Echoing Deliz, Esslinger said the Center for Advising and Career Services is much more than just academics so they look at each student’s situation on an individual basis and not just from an academic prospective. Since the Pensacola campus Center for Advising and Career Services sees so much traffic, students are urged to visit prior to registration to get the most from their advising experience. Staff is accessible, Deliz added, and they are ready and willing to help.